We are BACK HOME from my UK tour! We had an amazing time, it was so wonderful to meet so many of you UK folks in person. We are already looking forward to coming back soon! Now we're back home to visit with you Florida folks (or those of you vacationing at Disney World) - tomorrow & Saturday nights November 7 & 8 - I'll be doing a special event with my Disney artwork at Disney's Marketplace Co-Op store - from 5pm-7pm both evenings - details are here. In other news - I have a new Faces of Faery - #228 - to show you here , and for those of you who want your OWN custom painting, I have one up on eBay right nowhere . My licensed Disney prints/merchandise from WonderGround is coming to Florida and I will be there at Disney's Marketplace Co-Op, Downtown Disney in FL on November 7 & 8th! I've made the official event page here - mark your calendars - many of my images that have previously just been at Disneyland in California are coming finally to Florida, I am stoked! I'll be there 5pm-7pm both nights - come say hi and welcome all my Disney lovelies to Florida! Details are at the link here I will also be bringing some art supplies and perhaps doing some pastel work if time allows! 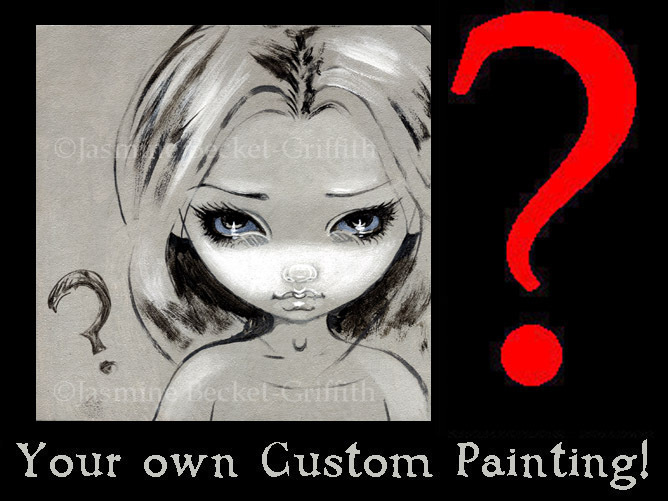 Faces of Faery 228 was one of my original custom painting auctions on eBay! 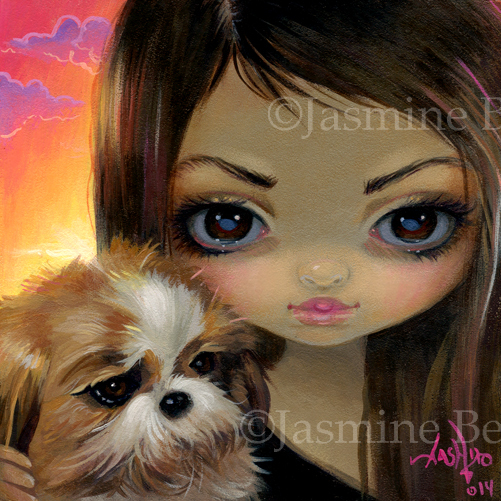 The winning bidder had me paint her to resemble his daughter, and include her little puppy dog! Turned out super cute =) This original painting has of course already sold to the owner, but we do have prints up at Strangeling.com right HERE. 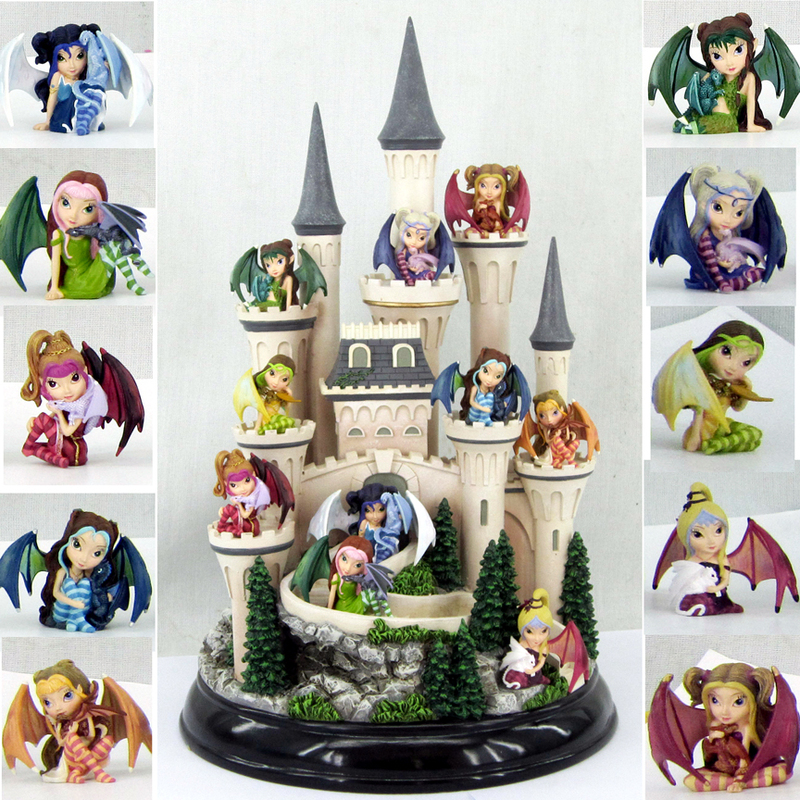 Coolest EVER collectible from Bradford Exchange / Hamilton Collection - available to preorder HERE - this gorgeous set of TEN of my Limited Edition fairy/dragonling figurines and a display castle. These are so pretty in person too - wow. Has got to be the ultimate collectible of mine they've created yet! They'll also let you do 5 installments of $39.99 to make it a little more affordable too Not in the USA? Don't worry! After the initial launch they will be available elsewhere too after a little while, at subsidiaries & import shops such as Burning Desires here (huge selection & they ship worldwide!) - I'll keep you posted. USA folks though - hop up to that link hereand reserve yours asap - this is just too cool! More details at the link above.